The 3rd annual RobotArt competition is currently underway. 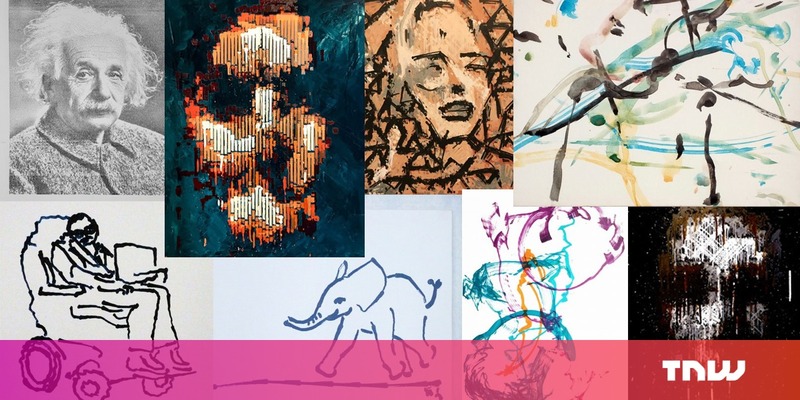 Dozens of physical paintings, created by machines, will be judged by professional art critics and the public at-large to determine which team of developers will walk away with the top prize. What it is: RobotArt is the passion project of founder Andrew Conru. The competition runs each year and solicits roboticists and machine learning developers to create physical robot systems capable of painting with brushes and ink. Over the years, developers have used various different systems ranging from neural networks that operate robot arms, to software that translates human brush strokes in real-time to a robot which then attempts to imitate them. Each submission is accompanied by a video showing the robot painting its art. What’s happening: Entries for this year are closed, but the public can vote for the winners until May 11. The winners will be chosen by a measure of 60 percent professional judges’ votes and 40 percent general public. The official winners will be announced on May 14. If you’d like to participate in the voting go to the RobotArt website and register with your Facebook account. Unfortunately if you’ve decided to #DeleteFacebook you won’t be able to vote.